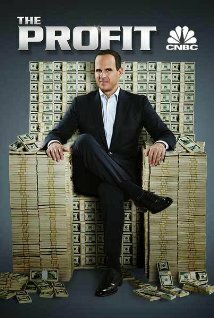 Have you ever watched Marcus Lemonis in a television program called “The Profit”? Lemonis is an entrepreneur that invests his time, expertise, and yes, money to assist in turning around struggling companies. He takes ownership of a portion of the company, but, as he says, “He is 100% in charge”. I would recommend this program to any business owner looking for ideas to improve their business. You can watch episodes of the show here. People: We all know in the vacation rental business, your staff is the key to your success. From reservations, to accounting, to housekeeping and maintenance, you need strong staff to manage your business. How can you help raise the level of staff engagement, so they understand your vision? The end of the year is probably a great time to evaluate who you have representing you, and what changes might be needed in the New Year. Product: What are you selling? Are you selling a room or a piece of property for someone to rent for a week, or weekend? Or are you providing a “vacation experience”? If you are just offering someone a place to stay for the weekend, then you are selling yourself short in today’s market. Your guest is looking for the best experience their money has to offer. If you are not engaged in that providing that experience, then your competitors will. Know what it is that you are selling, and provide the best product you possibly can. Process: This gets you to the nitty/gritty of how you provide that wonderful guest experience. How are you using your staff to provide the product? Are you using your technology to provide the best efficiencies you can to offer that excellent product to your guests? Again, the end of the year is a great time to look at your processes, and make improvements. The end of the year is also an excellent time to look at your back end technology to see if that technology is supporting your people, you product and your processes. Are you interested in providing concierge items through your backend system and through your website? We’d love to hear what you have in mind. Make sure this is tied into your guest access portal to allow people to create their own bookings saving your staff time. Do you need integrated access to more marketing portals? What about home automation systems to improve performance and efficiency for your homeowners? What about adding insurance or a damage waiver program to help with your internal processes? Barefoot has lots of ideas about how to help your company take a look at each of the buckets above and see how technology can be applied to help you address each of the above. Let’s have a conversation… call me at 804.897.3423 or mike.mueller@barefoot.com.